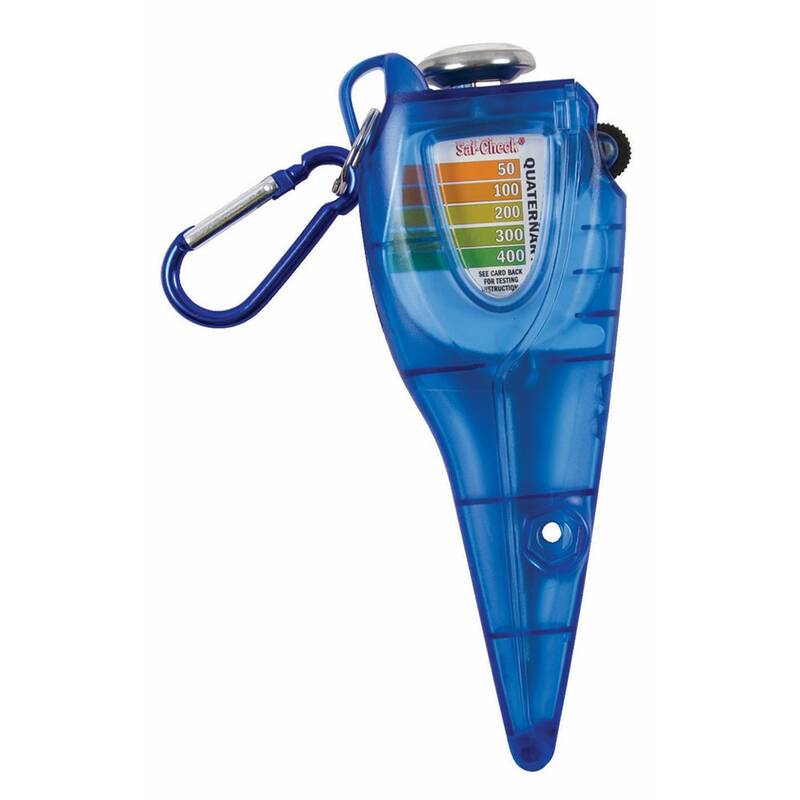 The San Jamar SFC1200CL Saf-Check® system combines a chlorine measurer and thermometer into one tool so staff can perform frequent sanitizer and temperature checks. The chlorine measurer dispenses test strips with the turn of a thumbwheel. 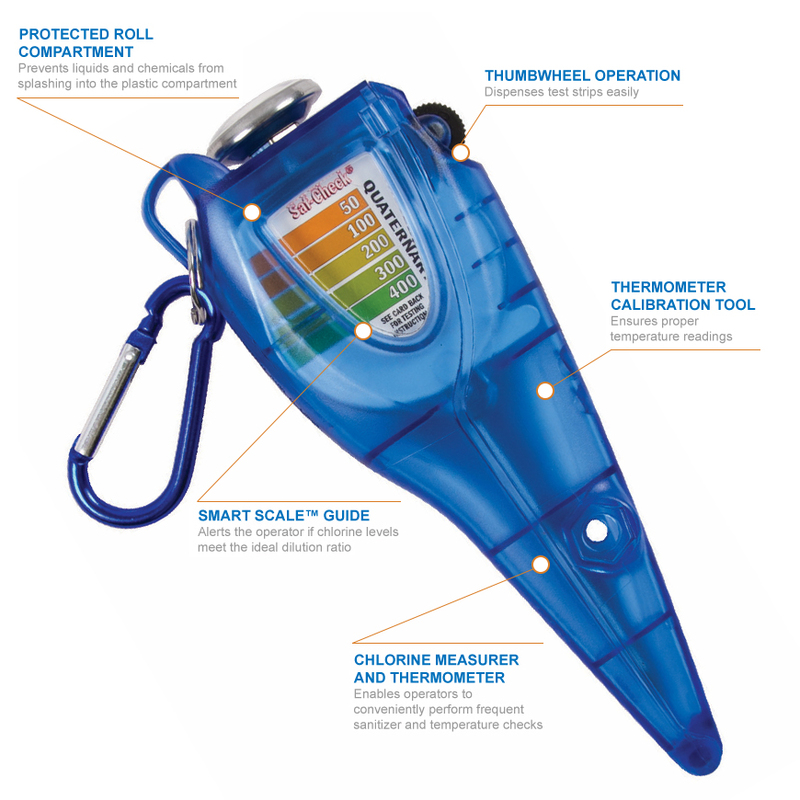 It provides a reading between 0 and 220 degrees Fahrenheit, and its integrated calibrator tool ensures the reading is accurate. With the straightforward Smart Scale™ guide, staff members can know if the sanitizer is at a safe level or needs to be changed. A 15-foot test strip roll is included in a plastic compartment that protects it from chemicals and splashing. With a built-in pocket clip and detachable carabiner, staff can store the the San Jamar SFC1200CL Saf-Check system and keep it within reach. 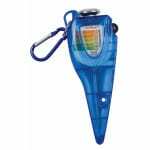 Saf-Check Chlorine Measurer, w/thermometer, integrated bimetallic thermometer calibration tool, Innovative Smart Scale, refillable roll cartridge, integrated pocket clip and detachable carabiner.